This little gem is a twist on the classic chia seed chocolate mousse! 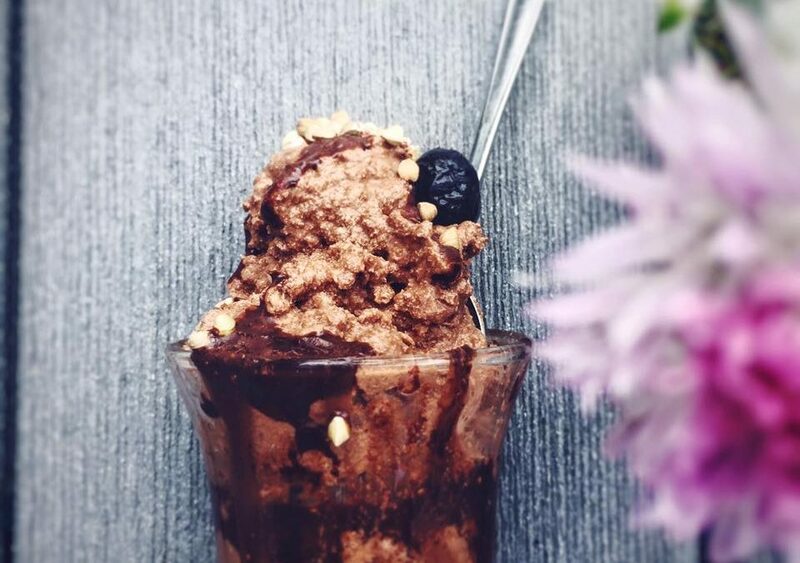 It is dairy free, gluten free, paleo, refined sugar free yet tastes insane 🙂 This Sundae packs a punch and if you’re craving something indulgent, rich and full of nutrients and healthy fats then whip this up for dessert. Spoon out the Mousse into a dessert cup, pour the chocolate sauce over it, and add berries, nuts and any toppings you like!